The Guinness Golden Ale has been brewed with premium quality hops, irish barley and amber malt. 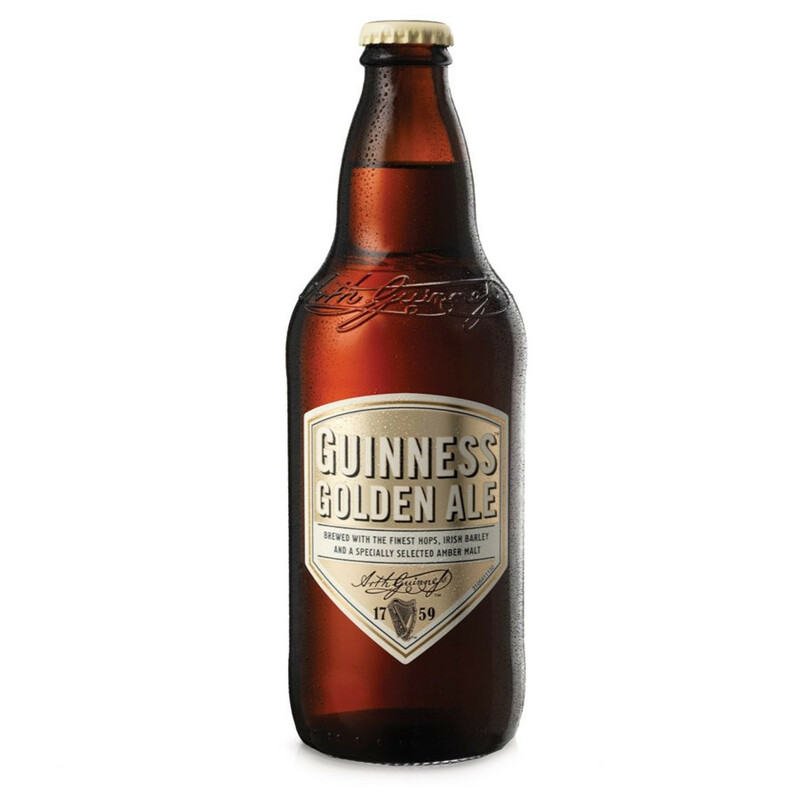 The Guinness brewery, famous for its brown beers, has been developing also lighter premium beers such as the Guinness Golden Ale. This golden beer reveals a well-balanced taste, with subtle malted barley flavours mingled with the lively bitterness of a fruity hop. Nose: pleasant hoppy flavour, with malted and biscuity notes. Palate: refreshing, malty and biscuity with delicate hoppy flavours.